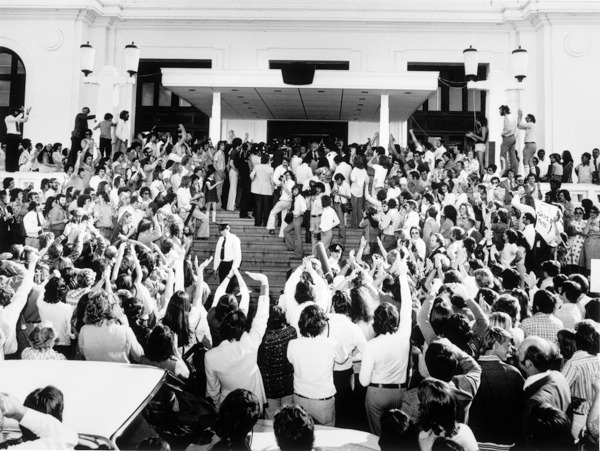 Starting today and running till 11 November, the Museum of Australian Democracy at Old Parliament House, Canberra, with the assistance of journalist and author Paul Daley, is live tweeting the events leading up to the dismissal of the Whitlam Government in 1975. Details (and Daley’s basic narrative) are on the MOADOPH website and tweets are here. With more here. Re-live the story [runs MOADOPH’s blurb] as we live tweet (+40 years) the events of the Dismissal through famous voices including Gough Whitlam, Malcolm Fraser and a host of others who were involved or were witnesses to this dramatic day in Australian history. The campaign is based on a narrative written by award-winning writer Paul Daley. Paul Daley is one of Honest History’s distinguished supporters. He writes about how he came to be involved in this innovative live tweeting exercise.